CCFX is a new supergroup resulting from a merger between two seminal Olympia, Washington pop outfits: CC Dust and Trans FX. 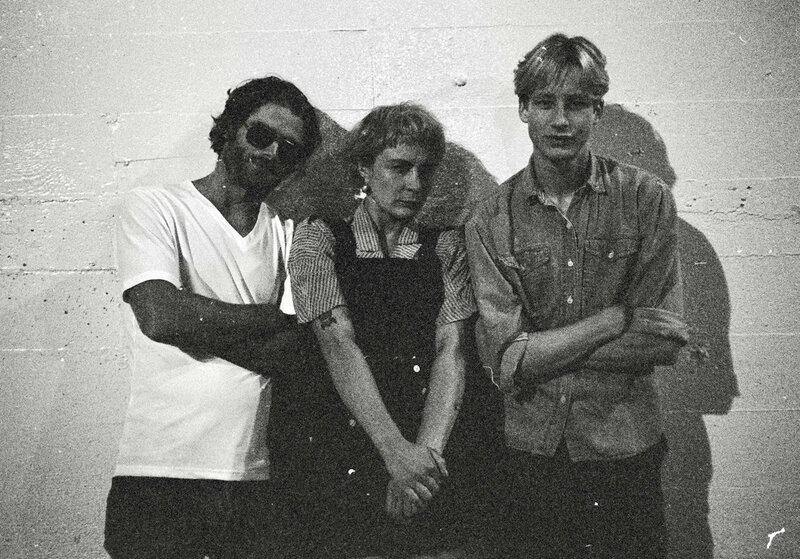 On their debut self-titled EP, artists Chris McDonnell, Maryjane Dunphe and David Jaques join forces for a record that is at once a showcase and an aberration of what is currently coming out of the Pacific Northwest. Recorded and mixed with local OG Captain Tripps, the EP’s sound partially recalls late 90’s/early 00’s indie pop as chiming, melodic guitar parts counter and complement Maryjane’s emotional vocals. In the same vein of the past few decades’ most beloved hitmakers (both in the clubs as well as on the radio), the music feeds on a sense of nostalgia not necessarily specific to any one time or place – sun-kissed riffs seem to go on forever, supported by a steady breakbeat. The timbre of the music is warm and just slightly fuzzed out, and the expressive quality of Maryjane’s voice is pushed to the front. Without a clear indication as to how, CCFX have struck that rare balance between heartfelt sincerity and calculated disillusionment that many groups strive for, bearing the mark of a project which is as fearless as it is humble and out there living as big as it wants to be. These four tracks grant listeners access to suppressed and superseded feelings from youth, paired with a strange glint of whatever luxury this epoch’s future might still hold. FFO Saint Etienne, Q Lazzarus, Yeah Yeah Yeahs, dancing, celebrations, success stories, etc. Posted on September 19, 2017, in stream and tagged CCFX, dfa records. Bookmark the permalink. Leave a comment.